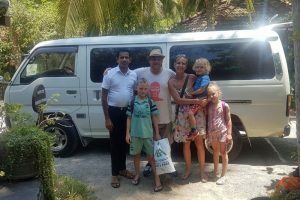 Sri Lanka Car and Driver Hire/Forums/All Forums/General Questions/Van o car? See more information and photos of Annette Roed Sørensen. What would you choose? Van or car? We got two offers for a 3 days trip for the same price, one with a Toyota mini van and one with a car (Nissan N16) We are just two persons, so it’s just a question about comfort I guess. We do have long legs. Have a look at the Best Advice page for some more information.